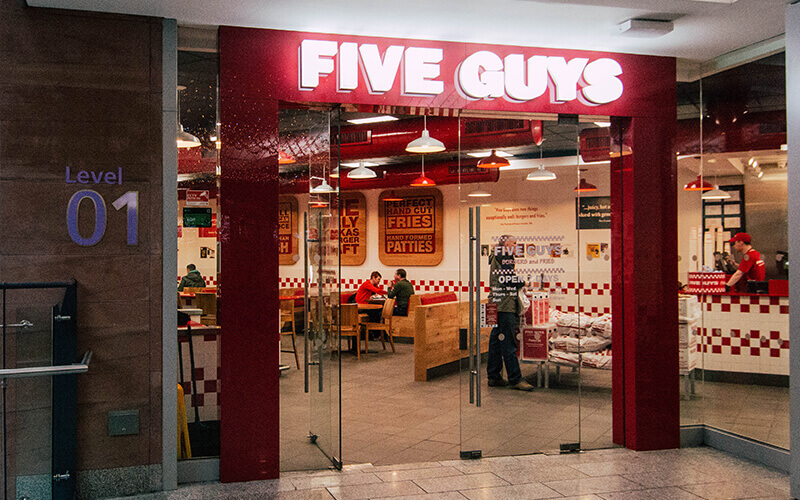 Five Guys is a no-frills burger joint that focuses on serving burgers and fries in a clean, friendly environment. From its meat and cheese, to where its bacon and potatoes come from, to the cooking methods, oil types and temperatures, Five Guys’ focus is always on quality. Five Guys began in 1986 when Jerry and Janie Murrell offered sage advice to their four sons: “Start a business or go to college.” The boys chose business, and the Murrell family soon opened a carry-out burger joint in Arlington, Va. Now, almost 30 years later, there are over 1,300 locations across North America, the United Kingdom with the first Northern Ireland location now open in Victoria Square, Belfast!